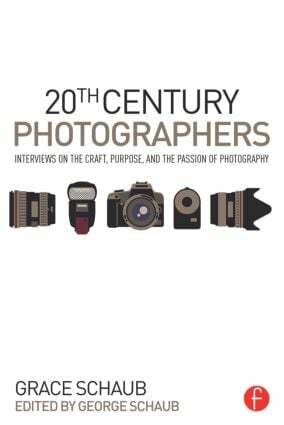 This book is a compilation of interviews and essays that cover a broad range of photographers and photographic disciplines. Each photographer profiled made a living by concentrating on a specific aspect of the craft, but in doing so transcended their livelihood to become recognized for more than the type of images they created. Each had a distinct "style," creative approach, dedication to the craft, point of view about themselves and the world. These interviews were conducted during a seminal period in the shift from film to digital and from print reproduction to global distribution on the Internet. Just like their photographs continue to inspire today, now these pros’ words can live on as an invaluable reference for the photographers of the future. The truth and wisdom in this collection transcend time and technology. George Schaub (Editor) is the editor at large at Shutterbug magazine. He has written more than 20 books on photography and is an associate professor at the Parsons School of Design in New York City. Grace Schaub (Author/Interviewer) was a photographer, artist, and writer who, throughout the latter part of the twentieth century, interviewed many of the most influential photographers of the time for various magazines including Photo Pro, Photographer's Forum, Camera Arts and View Camera magazine. She was a faculty member in the photographic department at the New School University in NYC.